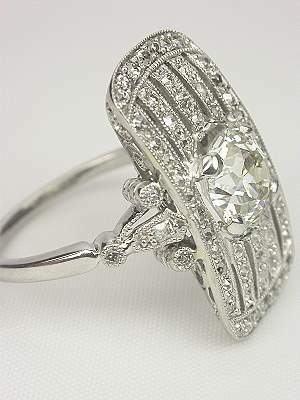 This fabulous Edwardian antique engagement ring shines like the brightest stars in a moonlit sky. 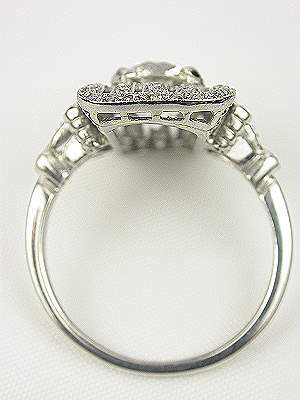 The platinum band of this antique engagement ring is highlighted by a GIA certified old European cut diamond. 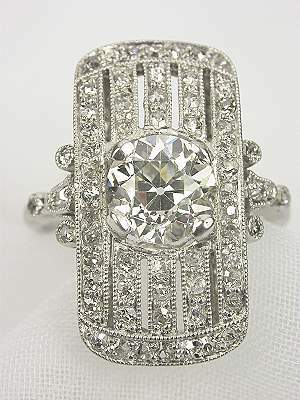 This 1.31-carat diamond is accented with a collection of 62 round single and rectangular table cut diamonds. 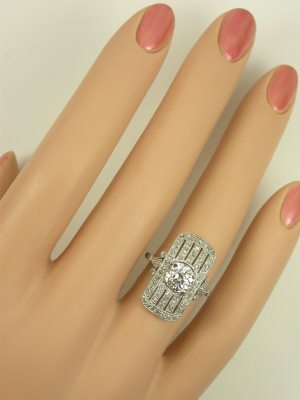 The curved design of the setting hugs the top of the finger for a fabulous fit. 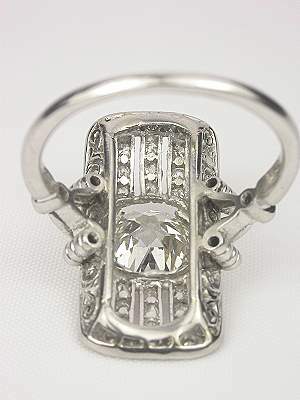 Edwardian antique rings like this one also make special anniversary gifts. Circa 1910. From the Topazery Tara Collection. Other notes This antique ring is from Topazery's Tara Collection. Pieces chosen for the Tara Collection embrace classic and timeless jewelry designs from the past. 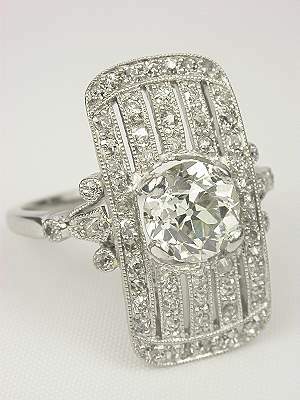 Named after Tara, the spectacular Southern plantation in the movie "Gone With the Wind", this collection features elegant original antique rings from the Edwardian and Art Deco periods.